↑ Dale, Stephen Frederic (2004). 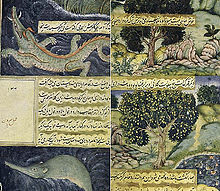 The garden of the eight paradises: Bābur and the culture of Empire in Central Asia, Afghanistan and India (1483–1530). Brill. pp. 15,150. ISBN 90-04-13707-6.